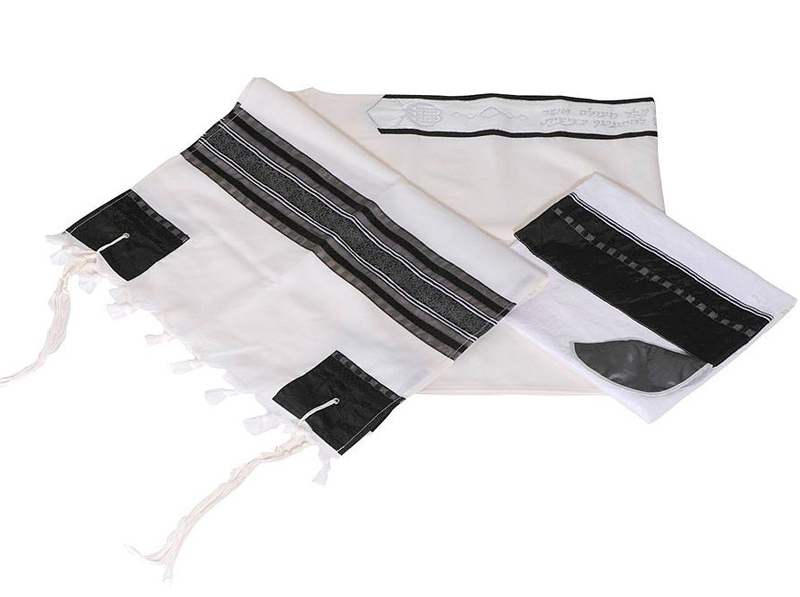 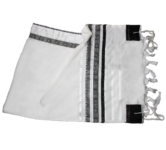 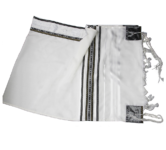 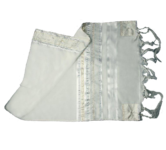 Grey and black stripes on a pure white background, high quality natural fabric, simplicity, yet high class elegance… These are the features of a hand made tallit set conceived by the most skillful Israeli designers out of natural wool. 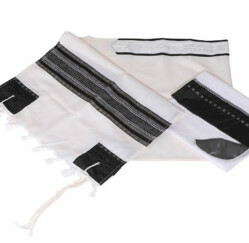 The black grey and white stripes are artfully combined in a symmetrical way to provide this special model of prayer shawl with a unique and sober look. 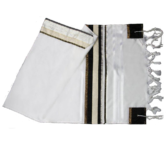 Less visible, the Hebrew letters are laid on a white ribbon with black edges.